One of our favourite forms of travel is small group or private tours - this ensures our clients can have a fully customized, unique experience that is flexible and highly personalized! The below is just a sample itinerary of what we can organize for you through Botswana and Victoria Falls - truly bucket list destinations with fantastic options for varied accommodations and activities based on your individual needs. This journey highlights the Big Five and some of Africa's most magnificent watery wonderlands. Are you interested in a small group / private itinerary? Get in touch with us via the 'contact us' button or give us a call at 604-736-7447! A taste of the best Botswana has to offer, this grand itinerary explores the most remote and untouched wildlife areas in Botswana, ending with the thundering majesty of the famed Victoria Falls in Zimbabwe. 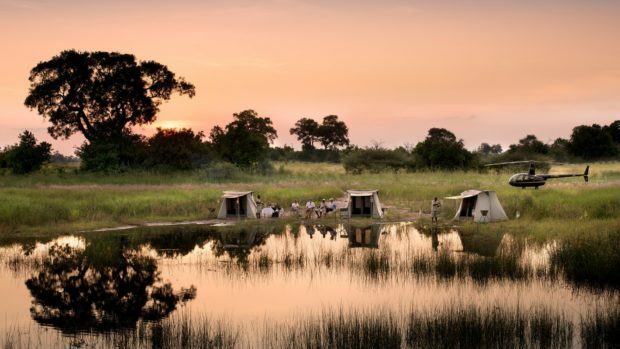 A magical setting where land blurs with water, the first destination is the Okavango Delta. The next stop is Moremi Game Reserve, where the long necks of a family of giraffe materialize slowly out of the skyline and graceful sitatunga hide in the reeds. The secluded Selinda offers the opportunity to feel the Africa earth beneath your feet as you discover the marvel of the bush on guided safari walks. In the famed Chobe National Park elephant wander dreamily into camp and hippo slumber as you float down the river on a sunset cruise. The adventure ends within sight of the magnificent flume of water vapour that hangs above the mighty Victoria Falls. On arrival at Maun Airport you will be warmly welcomed by a representative, who will assist you onto your light aircraft flight to the camp or lodge of your choice in the Okavango Delta. 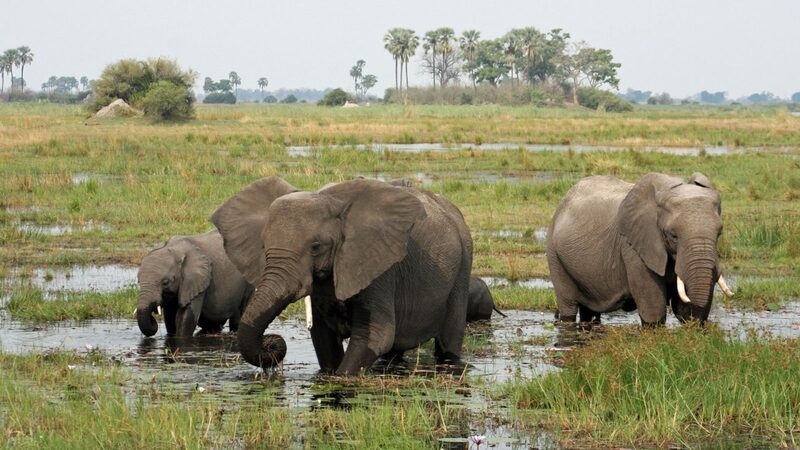 The Okavango Delta is the world’s largest inland delta and is often referred to as a miracle of nature. 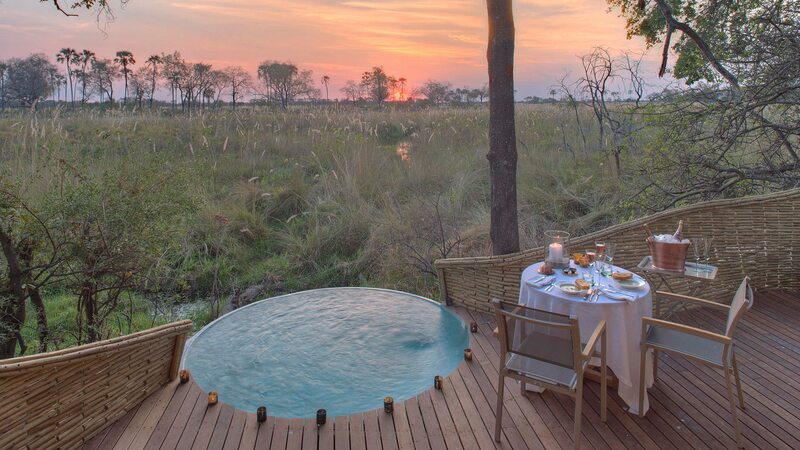 A maze of sparkling lagoons, meandering channels and overgrown islands teeming with wildlife, Botswana’s Okavango Delta lies like a sparkling jewel at the heart of the Kalahari Desert. Known as the river that never finds the sea, the Delta’s crystal-clear channels spread over the thirstlands of the Kalahari with their papyrus-fringed banks and fertile floating islands. 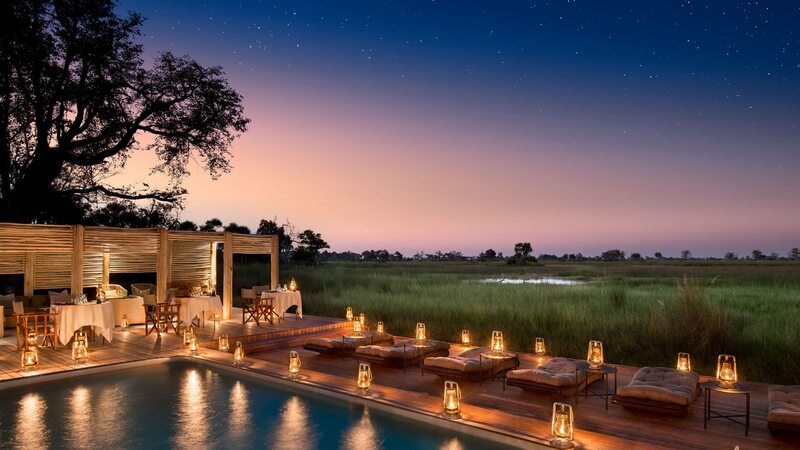 Spend two nights in the Okavango Delta, choosing between a value, luxury or deluxe accommodation option. 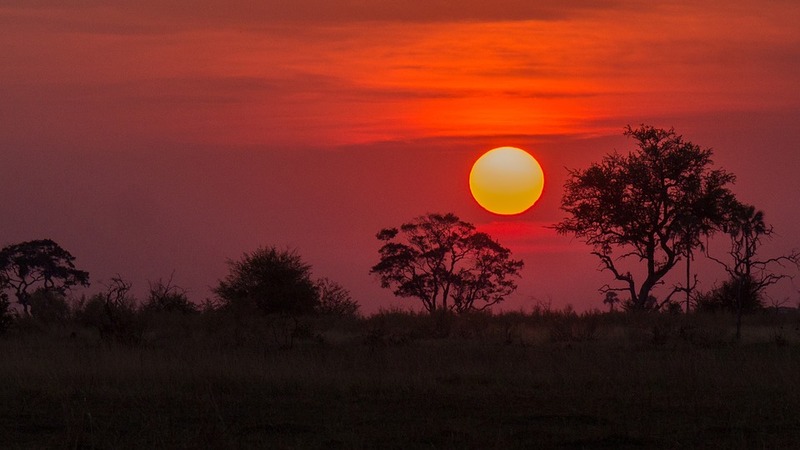 Experience the dawn in the famed Okavango Delta. Watch the distinctive shapes of the tall palms emerge from the grey haze. Glide silently between tall avenues of papyrus and river reeds, sprawled comfortably on the flat wooden wedge of a traditional dugout canoe, or mokoro. Dig your bare toes into the golden sand, cooled by the clear Delta waters, fishing rod or ice-cold drink in hand. Peer into the savage jaws of the tiger fish or marvel at the dazzling colours of the lilac-breasted roller. End the day admiring the multi-coloured spectacle of the African sunset. After breakfast in the Okavango Delta, you will board a light aircraft flight to the camp or lodge of your choice in the Moremi Game Reserve. Spreading across the magnificent Okavango Delta, Moremi Game Reserve boasts the most diverse habitat and animal populations in Botswana. The landscape comprises a stunning combination of forests, lagoons, floodplains and islands. Tall mopane woodlands and spreading floodplains fringed with majestic palms make Moremi one of Africa’s most scenic wildlife areas. Spend two nights in Moremi Game Reserve, choosing between value, luxury or deluxe accommodation options. 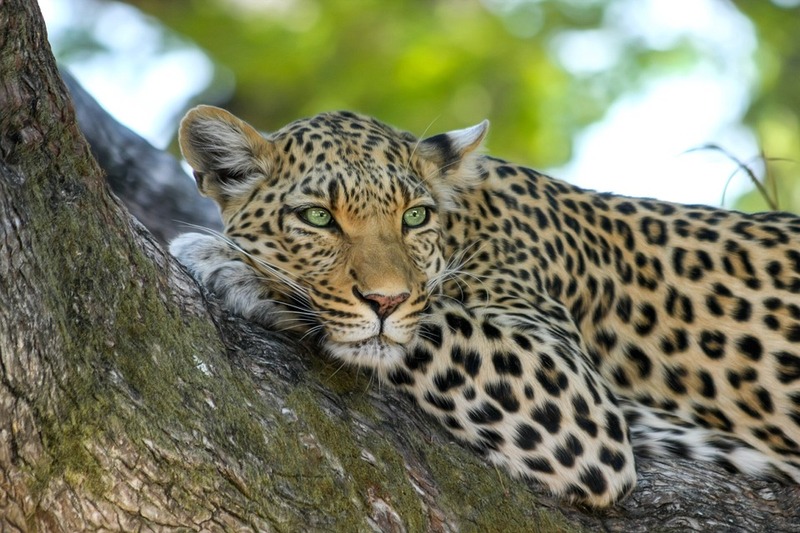 The combination of habitats makes Moremi the ideal place to combine typical savanna game viewing with leisurely cruises along lagoons and channels and rich bird watching. Dense riverine forests are home to shy leopard and deep lagoons are inhabited by hippo, while the semi-aquatic red lechwe and sitatunga antelope can be seen wading the shallows. Buffalo, giraffe, lion, leopard, cheetah, hyena and jackal can all be spotted on the floodplains and among the Moremi’s drier areas. A birdwatcher’s paradise, the rich and diverse habitat of the reserve is home to a surprising diversity of birds, with almost 500 species, from water birds to forest dwellers. The area is also well known for regular sightings of the endangered African wild dog. 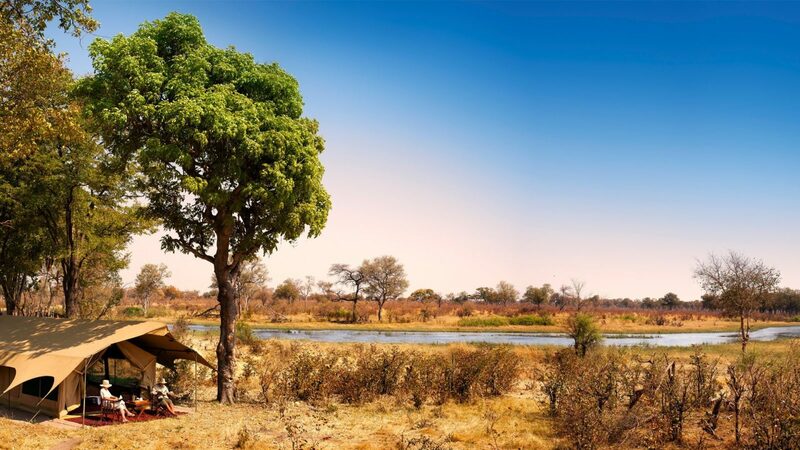 Set out on foot to discover the minute wonders of the African bush, stopping to examine buffalo tracks and learning the traditional uses of the Okavango’s many bushes, trees and grasses. Meander through the clear lagoons and channels in a motorboat, watching wildlife from a different perspective and admiring a multitude of colourful bird species. After breakfast, yet another short flight will take you to the camp or lodge of your choice in the Selinda Reserve. The Selinda Reserve is a 320 000 acre (129 500 hectare) private wildlife sanctuary in northern Botswana. The famous Selinda Spillway, which links the Okavango Delta to the Linyanti and Kwando wetlands and rivers, meanders through the area. 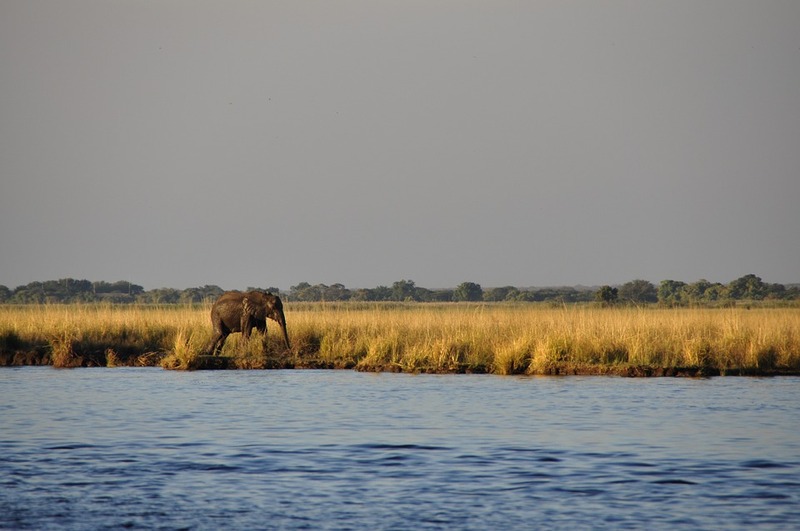 Abundant wildlife is attracted to the vast floodplains and grasslands along the river, with large numbers of elephant and vast herds of buffalo congregating around the Zibadianja Lagoon in the dry winters. 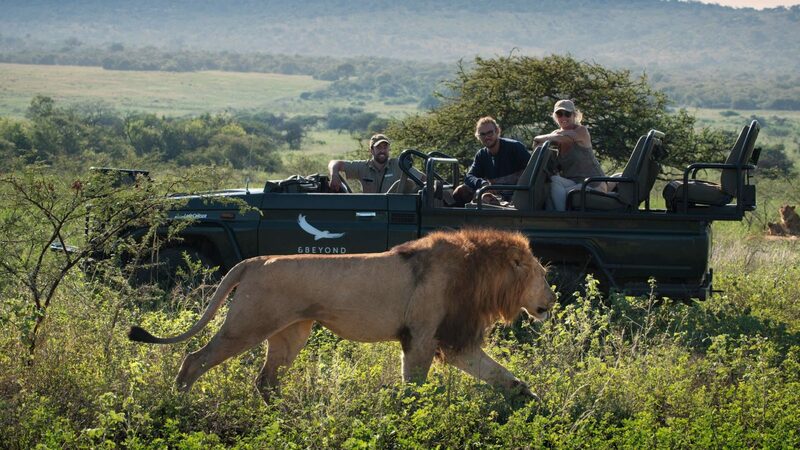 Predator viewing is exceptional, including lion, leopard, wild dog and cheetah. 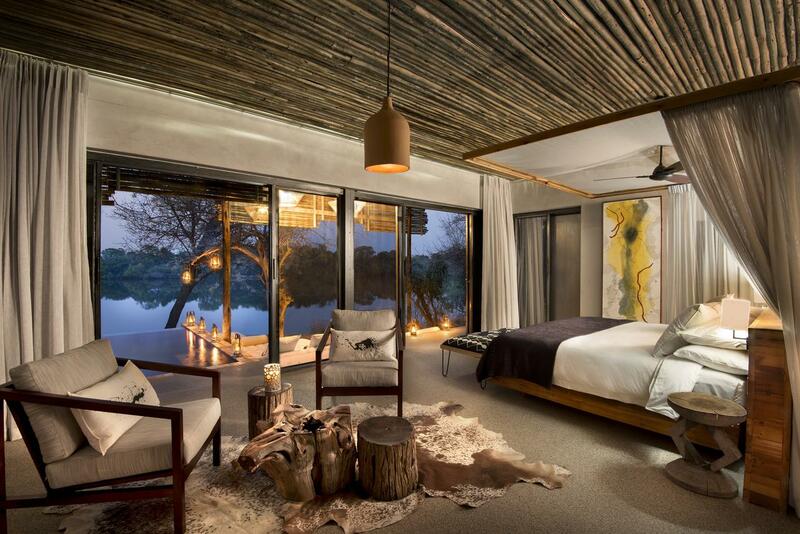 Spend two nights in the Selinda Reserve, choosing from value, luxury or deluxe accommodation. Stretch, yawn and listen to the morning chorus of birdcalls before easing into a new day. Hop into the vehicle like a seasoned safari veteran and set out in search of the perfect sighting. Hear nothing but the grass swish-swishing against your trouser leg as you walk through the tranquil bush. Crouch down around a fresh animal track as your guide deciphers the clues it has to offer. If the water levels allow, glide along the river on a tranquil canoe safari. Back at camp, let the aches and pains of the day melt away under the expert care of the camp masseuse. In the evening, warm your toes around a blazing campfire and join in stories of the day’s adventures. Enjoy your last game drive, bush walk or canoe trip before returning to the airstrip, where you will hop abroad a light aircraft for a flight to Kasane Airport. A vehicle will be waiting to take you to the camp or lodge of your choice in Chobe National Park. 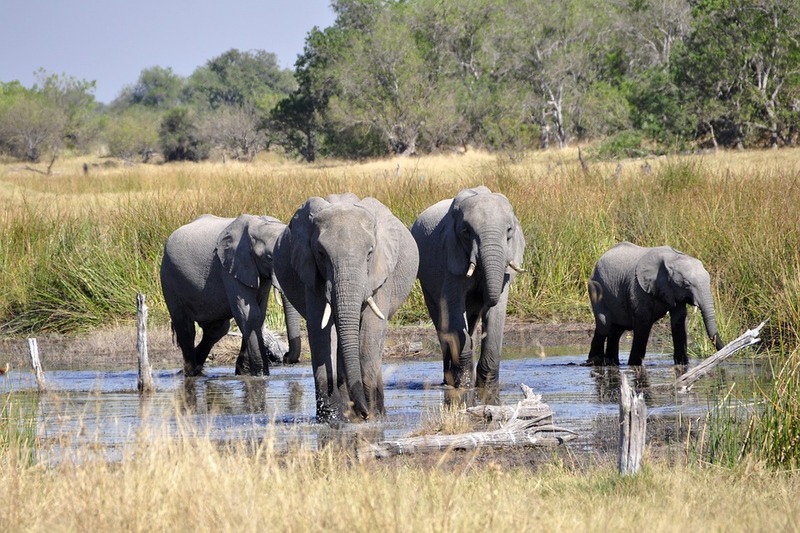 Located in the north of Botswana, with the Chobe River forming the country’s northern border, Chobe National Park is flanked in the south west by the Okavango Delta and the Moremi Game Reserve. Towards the south of the Chobe River lie flat floodplains that form a broad sweep of open grassland and woodland. A myriad pans and waterholes dot the plains. 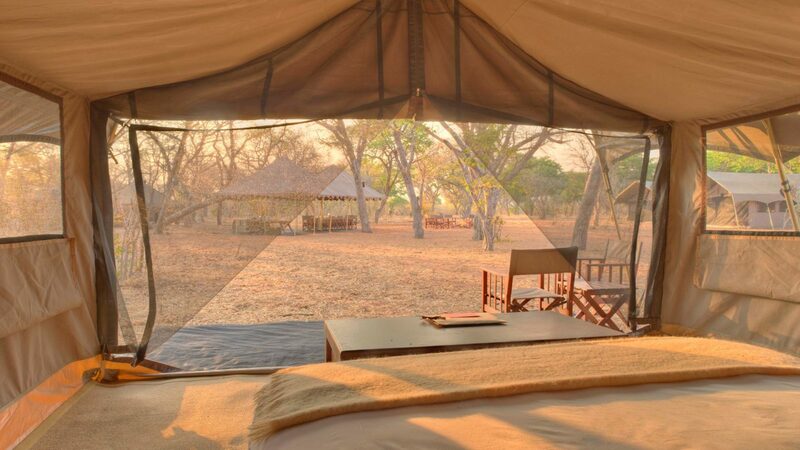 Spend two nights on the Chobe National Park outskirts, choosing from value, luxury or deluxe accommodation options. Please refer to the terms and conditions to determine what is included in each option. Awaken to a chorus of birdlife welcoming the dawn and warm up with a steaming cup of coffee. As the day heats up, sway with the motion of your 4×4 vehicle, keeping an eager eye out for what the next bend in the road may reveal. Follow the flashes of colour as birds flit between the trees along the river. Listen enthralled to the rumbling, trumpeting, rustling symphony of some of the world’s largest elephant herds. Step onto the low deck of a river boat and feel the current tug you onward. Pause in reverent stillness as the riverbank slowly fills up with elephant and then share their delight as the whole herd piles in for a swim. 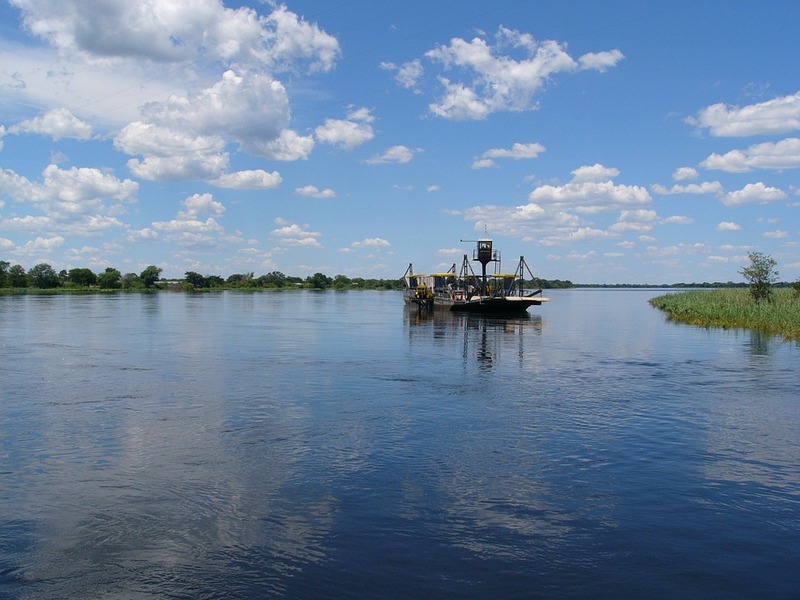 The Chobe River and its floodplains provide an irresistible attraction for wildlife, which congregates there during the dry season. Vast herds of elephant abound, with between 500 and 5 000 elephant frequently seen on the floodplains. Watching the elephant families drink and bathe in the river is an unforgettable sight, all the more impressive when herds of buffalo, rafts of hippo and gigantic Nile crocodile are part of the scene. Lion and spotted hyena are frequently seen on the floodplains, where red lechwe, puku, zebra, sable and roan come out to graze. Indulge in an early morning game drive and breakfast before being driven to Victoria Falls in neighbouring Zimbabwe, clearing customs and immigration en route. 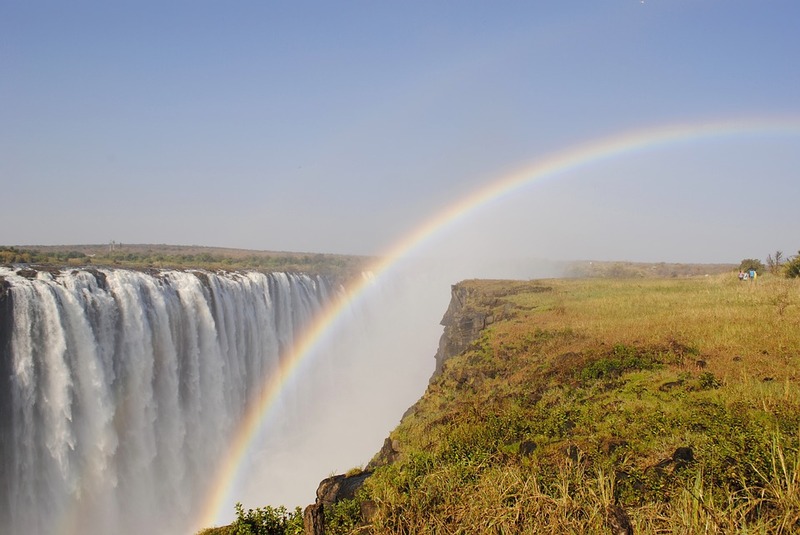 One of the world’s greatest natural spectacles, Victoria Falls is a massive curtain of water that tumbles over steep cliffs into the sheer drop of Batoka Falls. 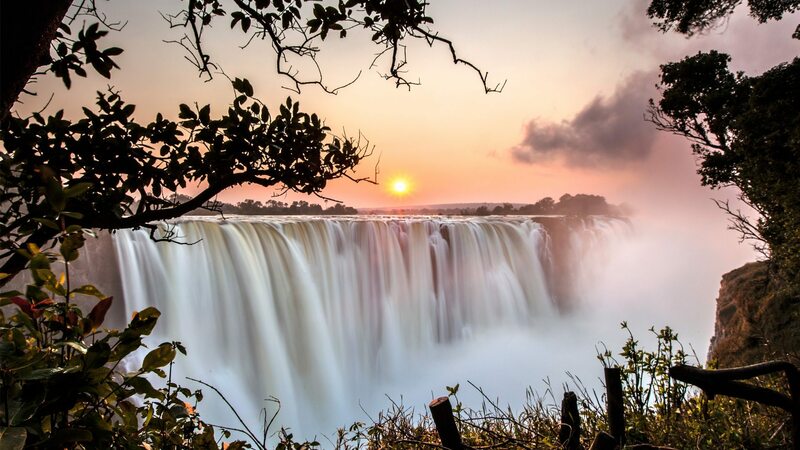 Shrouded in legend, romance and myth, long before the Scottish missionary and explorer, Dr David Livingstone ‘discovered’ the Falls in 1855, the local Batonga people had named them Mosi-oa-Tunya, ‘the smoke that thunders’. Spend two nights in Victoria Falls, choosing between value, luxury or deluxe accommodation options. Choose from a multitude of activities to add on to your stay. Daredevils will not lack for options, with white water rafting, bungee jumping, river boarding, jet boating, abseiling and a host of other activities available in the gorges below Victoria Falls. If you are in search of some gentler adventure, you can try canoeing the calmer waters above the Falls or take to the skies for a spectacular micro light or helicopter flight above the chasm. Indulge in a close encounter with nature with a one-on-one elephant interaction or choose to immerse yourself in history on a classical steam train or in a traditional local village. Today you will be driven to Victoria Falls International Airport, where your adventure will end.